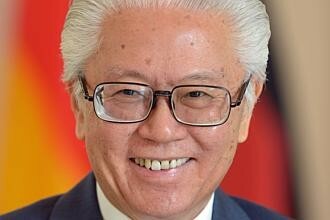 LINDAU (Germany) - President Tony Tan Keng Yam has wrapped up a 10-day visit to Germany with a call to Singapore's scientific community. He said that even as the Republic tries to attract foreign researchers and scientists to work here, it must aim to build a core pool of bright young local scientists. While Singapore has built good facilities and platforms for research and development, they will not mean much if the country cannot fill them with scientists - especially Singaporeans. He cited the example of Singaporean scientist Alexander Ling, who specialises in quantum physics at the Centre for Quantum Technologies (CQT) at the National University of Singapore (NUS). Dr Ling, 36, did his PhD at NUS before embarking on a two-year stint at the University of Maryland as an assistant professor. He returned to Singapore in 2010 to work at CQT on quantum cryptography, which is a new way of transmitting information using quantum technology. Dr Ling gave a talk to researchers at a dinner on Monday hosted by Singapore during the Lindau Nobel Laureate meetings, which bring together eminent scientists and young researchers to discuss the latest research findings. He said he returned to Singapore as he had always wanted to contribute and work in his home country. 'Science is global now and you can work anywhere and still contribute. I feel Singapore is one of the best places for a researcher to work in,' he said. Yesterday, Dr Tan told reporters at the end of his 10-day official visit to Germany that Singapore should encourage more young Singaporeans like Dr Ling to take up careers in science and engineering. One challenge, he acknowledged, is strong competition from other sectors, such as finance, for a limited pool of talent. But he said the NRF is working to show students that a career in science and research is as equally stimulating and rewarding as a career in law or banking. He said Singapore had reaped huge economic benefits from the billions it has invested in developing its R&D capabilities and must continue to do so to remain competitive. The Government's expenditure has jumped by nearly 10 times from $760million in 1991 to $6billion in 2009. It has also set aside another $16.1 billion for the next five years, up 20per cent from the $13.5 billion committed in the previous five-year plan. But the tangible benefits from this spending are clear, as without it, Singapore would not have a thriving biomedical sector nor a strong edge in clean water technology, which have boosted the economy in many ways, he said. But given the country's limited resources, it will have to make strategic investments in research where it has a competitive edge, on projects with relevance to the rest of the world, such as clean water technology, he added.